And as on all Southern Crossings tours, domestic flights and transfers are included! 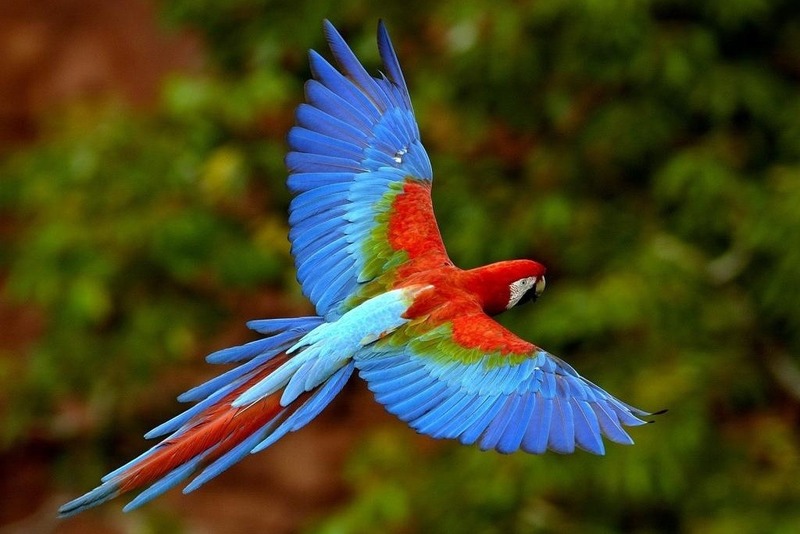 Depart any day and customize your Bolivia tour at no extra charge! We are custom tour specialists. It’s the best of Bolivia in 15 exciting days. We’ll visit La Paz the highest capital city in the world, the ruins of Tiwanaku, Lake Titicaca and the Amazon rainforest before hopping on a plane to visit the south of this amazing country. There, we’ll descend deep into an active silver mine at Potosi, tour the colonial city of Sucre, and then take a multi-day excursion to the Salar de Uyuni, site of some of the most stunning scenery on the planet. Day 1: Arrive in La Paz. Private transfer to your hotel. City tour this afternoon or on day 15. Day 2: Private Tiwanaku tour. Day 3: Private Full day excursion to Island of the Sun. Return to La Paz in the evening. Day 4-7: Amazon rainforest lodge. Return to La Paz evening of day 7. Day 8: Flight to Sucre and private city tour. Day 9: Private transport to Potosi. Day 10: Private Potosi mines tour, then private transport to Uyuni. Day 11-14: Salar de Uyuni excursion. Return flight to La Paz on evening of day 14. Day 15: Departure day. City tour of La Paz if not on day 1. Arrive in La Paz the highest international airport in the world, anytime today and private transfer to your hotel. You´ll have a private city tour in the afternoon if there is time, visiting the Witches’ Market, colonial La Paz, downtown La Paz and the presidential plaza. Later you will visit the Valley of the Moon which gives the eerie sensation of being on the moon or another planet because of its strange rock formations. You will also have a chance to ascend the majestic Illimani Mountain on the highest urban cable car in the world. If there is not time for a city tour today, we will include one before your departing flight on day 15. This morning we head out of La Paz to the ancient ruins of Tiwanaku. 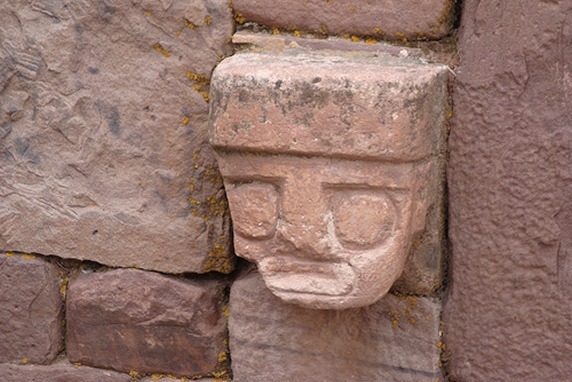 The Tiwanaku culture thrived from around 200 to 800 AD and controlled a large area of Bolivia and southern Peru. The ruins are fascinating with strange, sculpted faces set in the walls of a sunken temple, and a huge carved archway called the Gate of the Sun. Return to La Paz in the afternoon. An early morning departure to Lake Titicaca by private transport, there we’ll board a boat to the Island of the Sun. The Island of the Sun is the mythical, and perhaps actual, origin place of the Incas. This morning we visit some fascinating maze-like proto-Inca ruins and then head by boat to the south side of the island for more sightseeing and a lunch with spectacular views of the lake. Afternoon return by boat to Copacabana then by private vehicle to La Paz. The Amazon rainforest is this morning’s destination as we take a short flight over the Andes to Rurrenabaque, a bustling Amazonian outpost, where we will spend the night. We’ll transfer to a motorized dugout canoe for our journey to Chalalan Rainforest Lodge, where we’ll spend the next two nights. Our cabins at the lodge have modern bathrooms and comfortable beds with mosquito nets, and the food here is great. Take an afternoon walk through the rainforest with an experienced naturalist guide, come back for dinner, then set off again for a nocturnal jungle canoe ride to spot caiman! The next day’s activities will include a visit to an oxbow lake to look for giant river otters, monkeys, macaws and other wildlife as well as jungle walks led by an experienced, English speaking guide. You’ll witness an array of medicinal and otherwise interesting flora and fauna, as well as gain some insight into native Amazonian peoples and traditions. We return to La Paz on the morning of day 7. This morning we fly to Sucre, Bolivia’s actual capital and a beautiful colonial city in its own right. We’ll visit the Casa de la Libertad, Bolivia’s site of independence from Spain, the Cathedral with its accompanying museum, the scenic bell tower of the San Felipe Monastery, as well as some well-preserved dinosaur tracks just outside of town! We’re off on a beautiful journey by private transport this morning to Potosi, once one of the wealthiest cities in the Americas and still one of the highest, at 13,340 ft. This afternoon, we’ll visit the “National House of Money” with its accompanying museum, as well as the colonial center and some historic churches. This morning’s tour is not for the claustrophobic! After purchasing some traditional gifts for the miners such as coca, alcohol cigarettes and (that’s right!) dynamite, we’ll descend deep into the mines of Potosi. The various processes of the mines will be explained, as well as the traditions and belief systems of the miners, before we return to the surface before the afternoon’s detonations. Back up on the surface, you can even set off a stick of dynamite yourself(optional)! In the afternoon we continue on by private vehicle to Uyuni, on the edge of the salt lake. Our four-day journey across the vast, stunning expanse of southeast Bolivia begins this morning. The salt flats of Uyuni are considered by many to be one of the most remarkable sites in all of South America. We’ll visit the immense salt lake with its cactus islands, get great views of several massive volcanoes, visit lakes of many colors (some teeming with flamingos), soak in hot springs, view sulpher geysers and visit the famous and surreal “Dali rock”, pictured at the top of this page. A visit to the “railroad grayeyard” is also included. This is a great tour for photographers. On the evening of day 14, return flight to La Paz. Overnight in La Paz. Departure day. La Paz City tour today if you have not had one already. Private transfer to the international airport. Bolivia Explorer is a fifteen-day Bolivia tour which includes walking in various ruins, on city tours and in the rainforest, as well as a bit of “roughing it” on the Uyuni section of the trip. This section is optional and can be removed or changed. As always, a certain patience is required for the inconsistencies and delays of developing-world travel. 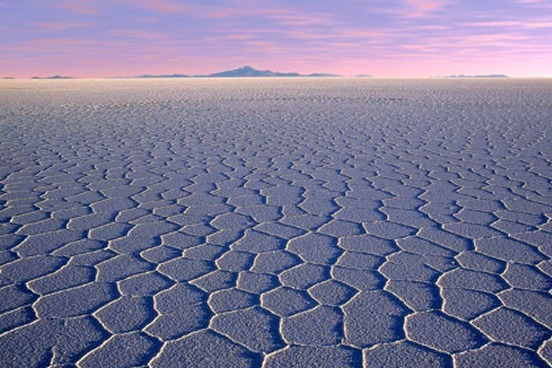 Please note: Our Bolivia tours are for the more adventurous traveler. Please ask your client services assistant for more information on transport and accommodation for your specific tour. International flight to/from La Paz, pre- & post- tour accommodation, visas, vaccinations, personal insurance, meals except where specified above, drinks, laundry, souvenirs, tips while on optional excursions and other items of a personal nature. Medical travel insurance is not included through Southern Crossings, cancellation insurance is advisable. We will gladly arrange additional accommodation for you in La Paz, Sucre, Potosi or Uyuni before or after your trip for $120 double/$100 single. Please add this amount to the payment if you will be traveling alone. All travelers to Bolivia are required to have a passport valid for at least six months from date of entry. Visas are not required for E.U., Canadian, Australian or New Zealand passport holders. A visa is required for U.S. citizens, which costs $135.00 and can be obtained at point of entry. Please visit the U.S. state department website for what you will need to present to obtain your visa. A visa can also be obtained in advance through any Bolivian consulate. For other nationalities, please consult the nearest Bolivian embassy or consulate. An onward ticket and proof of funds may also be required at entry and should be available to show to immigration. Traveler’s checks, currency, or a bank statement, from the bank or printed off the internet, are sufficient for proof of funds. The rainforest area of Bolivia (approx. 3500 ft. and below, east of the Andes) is a malarial and yellow fever zone. The yellow fever vaccination with the official certificate is required, and travelers may wish to take malarial prophylaxis. Travelers may also wish to receive hepatitis vaccinations and should be current on all other standard vaccinations. Please consult your physician or local health department for more information. It is best to bring from home such items as prescription medications, eyewear and care, unusual film and camera batteries. Please make sure to bring your used batteries back home to recycle! La Paz, Lake Titicaca, Tiwanaku, Potosi and Salar de Uyuni: days are warm if sunny, chilly if cloudy. Nights are cold in La Paz and can be extremely cold in Uyuni and Potosi.